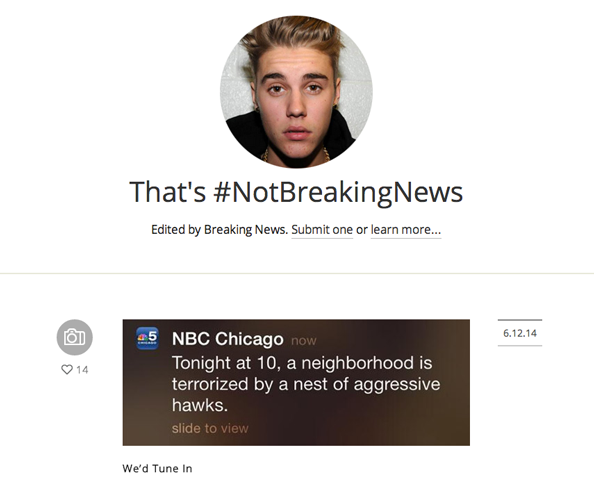 Although it’s apparently been around since last October, we just noticed a blog that’s apparently run by Breaking News, the NBC News Digital Group-owned site and app, entitled ThatsNotBreakingNews.com. 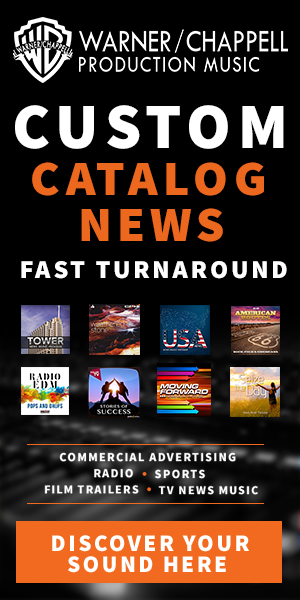 Included are gems such as an Associated Press alert reading “Austrian bearded drag queen Conchita Wurst wins Eurovision song contest” and WMAQ-TV’s “Tonight at 10, a neighborhood is terrorized by a nest of aggressive hawks.” It appears the site may be getting updated more frequently now. It’s important to note that it’s not clear if the authenticity of the captures is verified or if the site is, in fact, run by Breaking News (but it’s still entertaining either way).